Servants ran down the staircase as they carried such colorful fabrics. As some ran upstairs with some water. Entering a room much grand. A girl with long black hair that seem to touch the ground sat. She wore such various fabrics of her kimono. But tonight she wore a white kimono with a red obi. Designs of cherry blossoms scattered on the kimono, her hair had golden pins as it was holding her hair well showing such royal features. Which also brought out her perfect flawless milky skin on her face, her eyes dark blue which to everyone seemed like jewels. A servant would come and serve her a glass of water as she would thank him for it. As the servants exited her room , she would just want them to rest but they were too stubborn and rather work for her. She sort of felt guilty but she couldn't refuse either... Standing up she would walk over to the glass doors on the left side of her room as she would push aside the velvet red drapes. Opening the doors she would walk out onto the balcony. Gazing out onto the land she would listen to the silent chirping of insects. Resting her arm onto the railing of the balcony she then rested her head onto her arms. 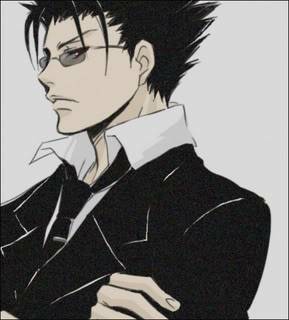 It's been a while since she sent Kurogane into a different world she wonders how his progress his doing. Sighing she would lift her head. Being the princess of Nihon was tough at times. But she was glad she can help her people. The dark shinobi walked through the darkness down a path, entering the gates that led her to nihon japan. It was a town she was familiar with but didn't come to too often. Though she was not alone, next to her walked a tall slender man dressed in black and red clothing, a different type of ninja wear then she had. The woman removed her hood showing her wavy brown hair as she looked to her left at the man and smirked. "So we have arrived in the bustling town of despair." 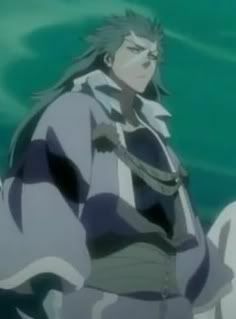 Location : Where ever I feel like with my master Toshiro. Walks through the palace in Kyo's form. Guards roamed the castle walls from the inside to outside. One of the guards would notice the boy with orange hair. Not to seem to identify him they mistook him as a threat. Walking up to he boy the lead guard would say " Halt you boy." Princess Tomoyo would cotinue to gaze out from the balcony it was a chilly night yet she didn't mind. Her thoughts seem to replay in her mind like a movie that could never stop. She would turn and head into her room as the large glass doors closed behind her. Pushing the velvet drapes down the moonlight would no longer cast it's shadow across her room. Sitting on the bed her eyes would flicker to the door as someone would knock softly. " Tomoyo-hime." a voice called, sighing she would get up and open the room door to see one of her servants holding a platter. Smiling she would step aside and allow the old woman place the platter on her bed. The aroma of food smelt awfully delicious. " arigato." she says with a warm smile. The servant would bow in respect " Is there anything else you need my lady?" The servant asks I would shake my head "no thank you, but do go enjoy your supper." she says as the servant would smile and head out the door. Tomoyo didn't feel like dining with all her loyal subjects for she wanted to be alone. Walking over to her bed she would slowly sit down. Reaching for the platter of food she would see such well prepared food such as hot delicous soup also with a plate of bread and meat. Grabbing her spoonshe would stir the soup slightly before scooping it up. Lifting it up to her mouth she would blow lightly to cool it down before slurping the delicious soup. "Hm What do you want" asks the guard. Tomoyo would continue to savor her delicous soup. Finishing the soup she would wipe her mouth with a napkin. Placing the spoon on the silver tray next to the empty soup bowl she would grab the fresh warm bread. Ripping it apart he would listen to the bread's crust crunch a symphony of crackle which shows how well prepared and baked it was. Taking a bite she would just savor the taste. Later she must compliment how fine the chef's cooking is. Finishing her bread she would move onto the small slice of meat. In about 5 to 8 minutes she has finished all the food on the silver tray. Getting up she would carry the tray out her room. Walking down the staircase her kimono would slightly drag on the steps behind her. Her red optic hues looked up upon the moon and it's vibrant gleam, it shined so brightly this evening, it was a true beauty to behold. The two walked past the guards. The woman began to withdraw her sword to kill them silently but the man lowered down her weapon. "Miharu you don't need it. I'm known here." he spoke with an eager look on his face that could kill someone. The girl known as Miharu looked back up at him frowning knowing she couldn't kill anyone as she sheathed back her sword and pouted. "Whatever." sighing, she looked back at the sky as birds passed over, it meant that something above had took life. Passing the guards with ease they advanced into the village coming upon a large shrine. They looked up where many lights flickered on after hearing that people had broken into the town. "I think your wrong Kuro-pou, were going to need our swords. 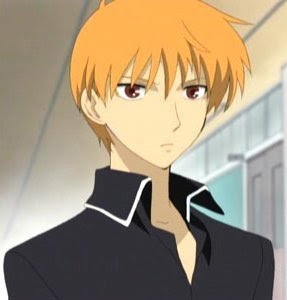 We have company..."
Changes from Kyo's form into my real form which is an old blood vampire named Jiro. "Good day to you gentlemen" says smiling. I was back at my home finally after my long travels of being banished. I lost my strength if in any unessacary fights, fighting ONI happened once or twice in the worlds but stopped my insane killing sprees. Being home felt great. I took a breath of fresh air, it was really home. No more white pork bun or that annoying wizard. "I hope tomoyo remembers me, it's been such a long time." Miharu looked at him and smiled seeing he still missed her and patted his back. "We'll see her, hopefully I mean. Unless we can't get in which is really unlikely since it's your home." she said then grinned. Putting her kusangi back in its sheath she didn't need to use it right now. sitting down on the corner of her bed. She would sigh softly " hm..." she mumbles under her breathe as she would stand up. Fixing her Yukata she would bound over to her room door and open it slightly. The door opened a crack as she looked around it was late at night usually she would sleep but right now she couldn't for some reason. Some royal servants were already asleep and some still worked she wanted to help sometimes but they didn't want her too.. Tilting her head she would open it fully and step it. Looking down the hallway she would walk to the main staircase of this large palace. The ninja's or samurais that came flooding in raised their swords to Miharu and I as I put my hand up for them to lower their weapons. "It's just me. Put your swords down. I've come home. Notify the princess her swordsman has come back." One of the commanding officers who recognized me was willing to follow my orders running inside to go tell her. When he came back out he told us we could come in. I waved my hand at Miharu who was a much younger ninja then me but I liked to take her under my wing since she was strong enough to face me unlike other cowards. "Let's go squirt. Home calls my name."